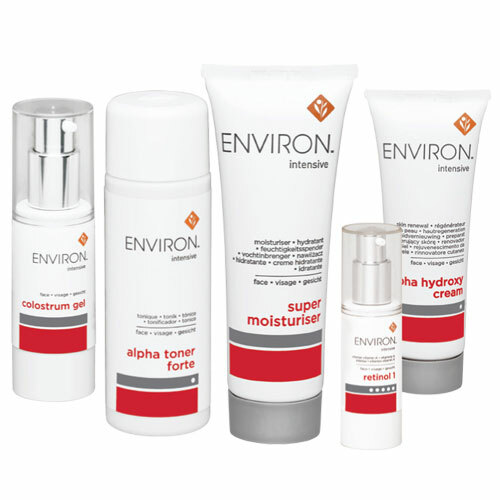 Environ skin care products are among the best in the world, favoured by beauty gurus, dermatologists and celebrities everywhere. And has led the industry for decades, using cutting edge science to continually improve and refine our products to make them as effective as possible, for a lifetime of beautiful skin. During treatment we use products after your skin type and condition. These moisturisers contain vitamin A and antioxidants including vitamins E, vitamin C, Green Tea Extract, Honeybush and RooibosTea Extracts, Resveratrol and Beta-Carotene. 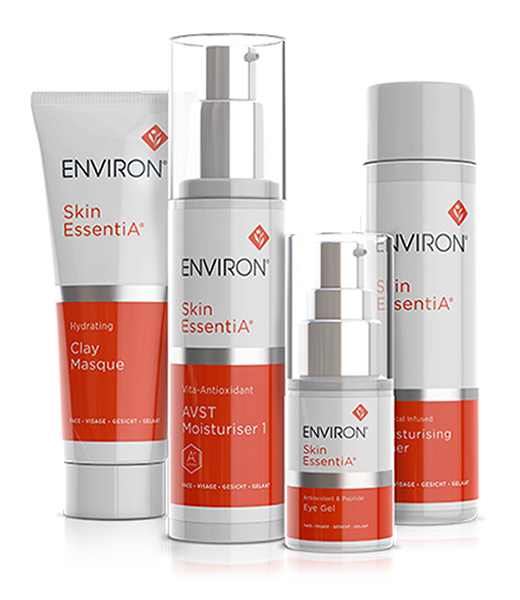 The Skin EssentiA range is our most popular, bringing all of Environ’s market leading technology to an affordable suite of products. 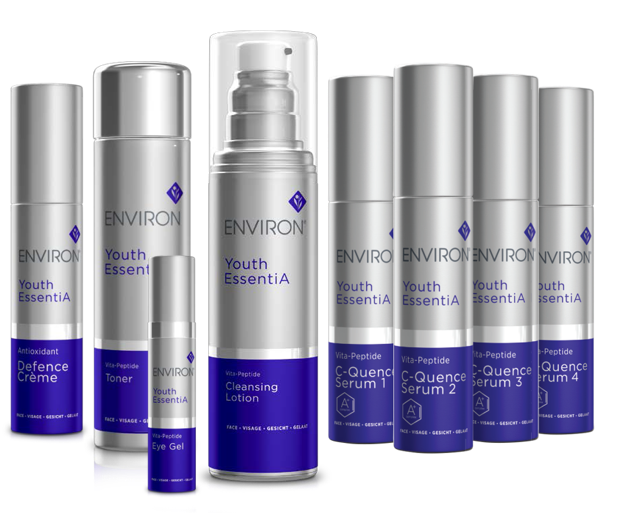 Youth EssentiA® products are manufactured each week with gentle loving care under the most sterile conditions to ensure that the client receives the freshest products possible. No preservatives or sunscreens are included in this range. It enriches the skin with an exciting combination of peptides, powerful antioxidants and vitamins, thereby introducing a new dimension to advanced skin care. 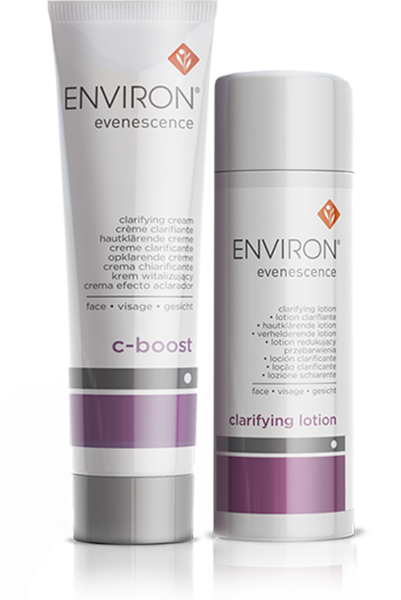 This advanced range is the most luxurious Environ® home treatment available. It will help speed up the restoration of the skin cells resulting in the appearance of a more youthful and healthy complexion. Our clarifying lotion supplies your skin with important water-soluble ingredients that help control the production of melanin in your skin cells. It is acid balanced to maintain the natural acid mantle and may be used on individual spots where the pigmented blemish is small and defined, or can be used on the whole face and neck for extensive uneven skin tone. Each product in this unique Intensive Range is formulated to target a specific concern, such as dry, dehydrated, menopausal, sun damaged, hyper pigmented, sensitive skin and breakouts. The products are intended for use by those who wish to obtain maximum benefit from vitamins and nutrients for specific problem areas. Each product has special active ingredients that help to boost the solution to your skin concern, providing faster results. 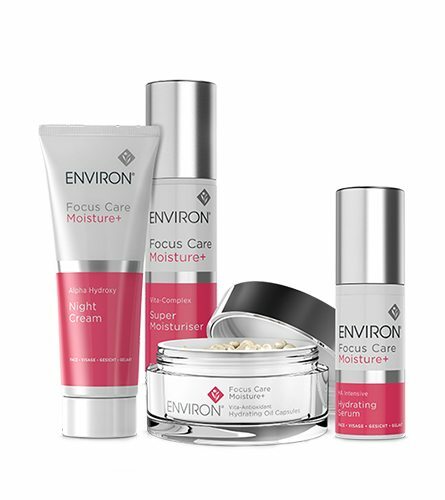 Focus Care™ range is made to use in conjunction with your regular regime for just that little bit more. The contemporary product line-up has been formulated to be clearly differentiated based on each specific range benefit, making range navigation effortless. The Youth+ range assists in creating the appearance of younger-looking, smoother skin. The Moisture+ range is designed to help deliver moisture boosting benefits to dull, dry and dehydrated skin. The Comfort+ range focuses on relieving and soothing sensitive skin. A range of products designed to protect and nourish skin with natural antioxidant vitamins, provide thorough sun protection and fight free-radicals. 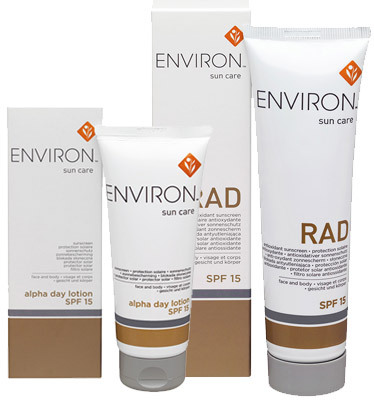 Environ’s Sun Care Range contains rich doses of free-radical scavengers and antioxidants to combat the effects of the sun and pollution on your skin.